Conference spending at federal agencies has decreased by hundreds of millions of dollars in the last three years, according to a new congressional report. 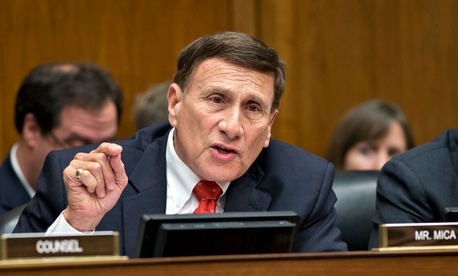 Rep. John Mica, R-Fla., pointed to increased oversight by Congress and agency inspectors general as the impetus for the savings. The House Oversight and Government Reform committee member highlighted in his report agencies recently in the spotlight for excessive conference spending, including the Internal Revenue Service, the General Services Administration, the Veterans Affairs Department and the Defense Department. Mica led the charge against the GSA’s infamously extravagant $820,000 conference in 2010 after the wasteful spending came to light in a 2012 IG report. The event caused then-GSA Administrator Martha Johnson to resign and President Obama to issue an executive order to curb conference spending and increase oversight of such expenses. In fiscal 2010, GSA spent $10.9 million on conferences. In fiscal 2012, the latest data available in the report, the agency spent just $1.3 million, an 88 percent decrease. The VA spent $86.5 million on conferences in fiscal 2011, Mica found, but that number was down to $7.5 million in fiscal 2012. Defense and IRS both have saved more than $64 million in conference spending since fiscal 2010 due to cuts and oversight. Those two agencies, in addition to VA and GSA, saved taxpayers more than $219 million by reducing conference spending since fiscal 2010. Mica estimated the overall governmentwide savings could total more than $500 million annually.